I hope you are well as another weekend gets underway. I’m pretty excited; I just received word today that the Russian entry visa that I applied for has been approved! So now I can really start looking forward to my epic adventure in Russia, the Ukraine, and Moldova, for which I depart five weeks from tomorrow! No doubt, some future candidates for the H-Bomb’s Friday Photo series will come from that trip. This week’s featured image, however, was captured in the American state of California. 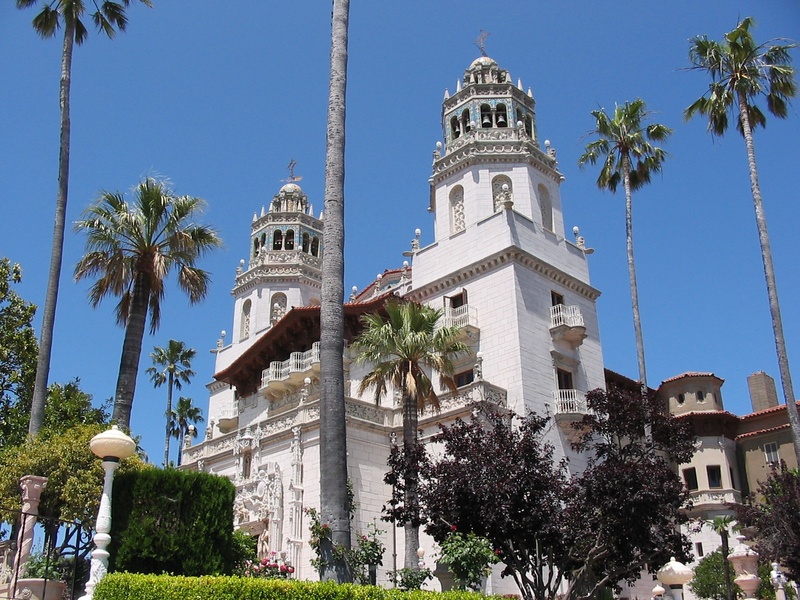 Specifically, it’s a scene from Hearst Castle, the magnificent mansion that newspaper magnate William Randolph Hearst (1863-1951) built in the town of San Simeon. (San Simeon lies roughly halfway between Los Angeles and San Francisco on the central California coast; it’s about 230 miles from each of those cities.) Mr. Hearst was a larger-than-life figure who was the inspiration for the title character in the classic Orson Welles film, Citizen Kane. The house that was made to order for him reflected his megalomania; and the tiled indoor swimming pool known as the Roman Pool was no exception. The Roman Pool is believed to be modeled after an ancient Roman bath. Adorning it are eight statues depicting Roman gods, goddesses, and heroes. One of those statues is visible in the photo above. The mosaic patterns on the walls are taken from a 5th-century mausoleum in Ravenna, Italy. Forming the mosaics are over one million glass tiles called smalti, some of which are infused with actual gold. The photos above were taken during a visit I made to California in June 2003. By the way, in case you were wondering, Hearst Castle is now a museum operated by the State of California. It’s a United States National Historic Landmark, and it’s listed on the National Register of Historic Places. 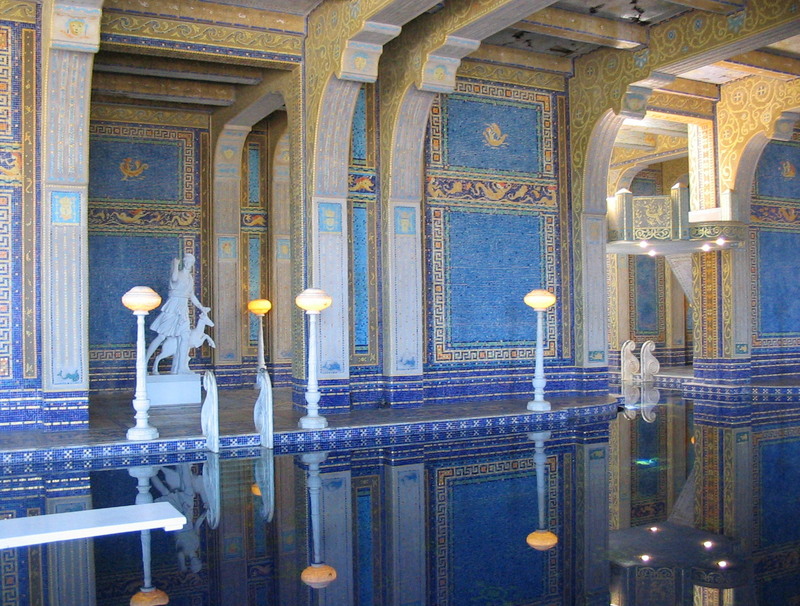 Would you like to visit Hearst Castle? @Becca: Well, this photo was one of my earliest uploads to flickr, years before I met you, so it’s not so surprising that you would not have seen it. I’m glad you like it, even though it was taken with a relatively primitive camera and during a time when I was much less experienced as a photographer.